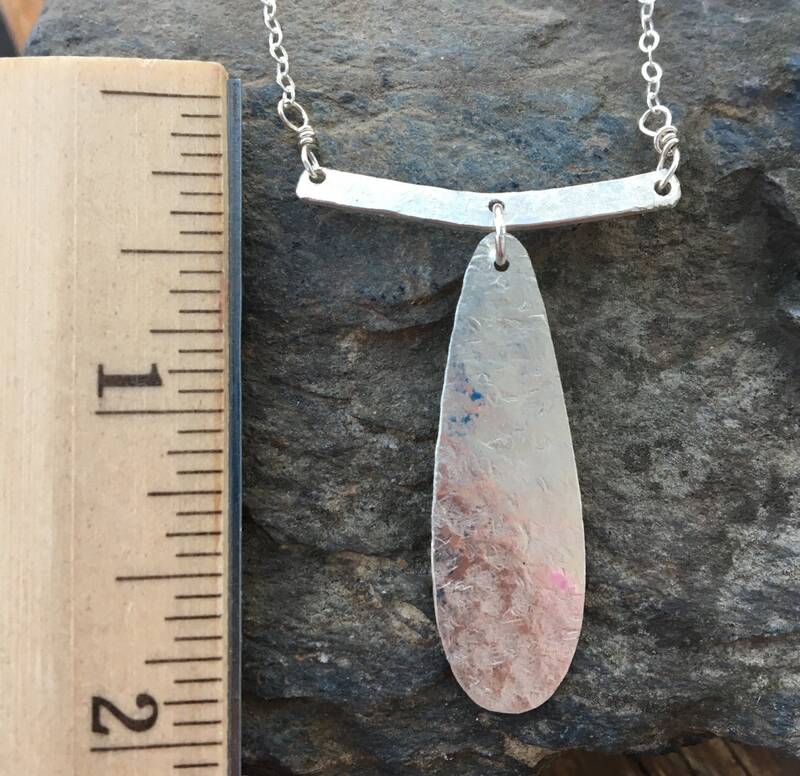 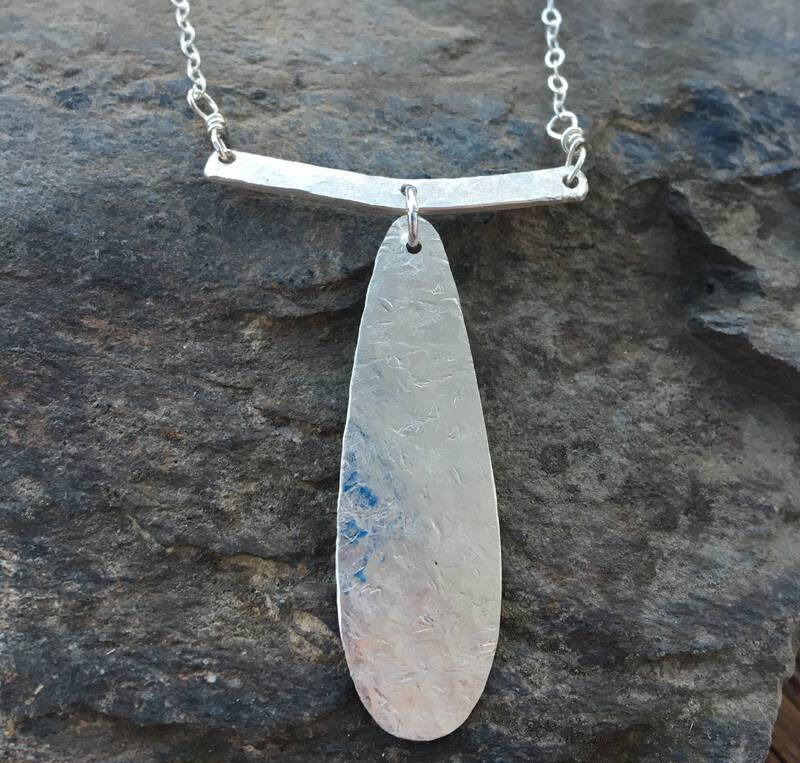 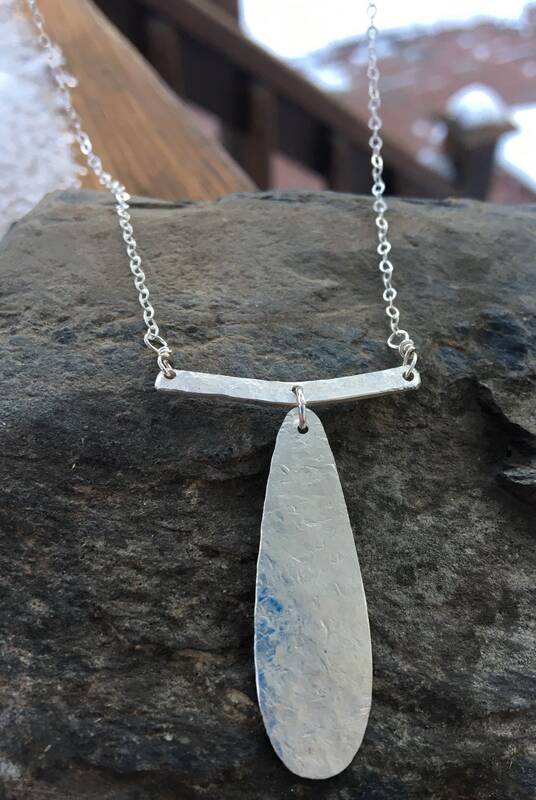 This sterling silver necklace is created by hammering sterling wire & then attaching a tear drop pendant (also hammered). 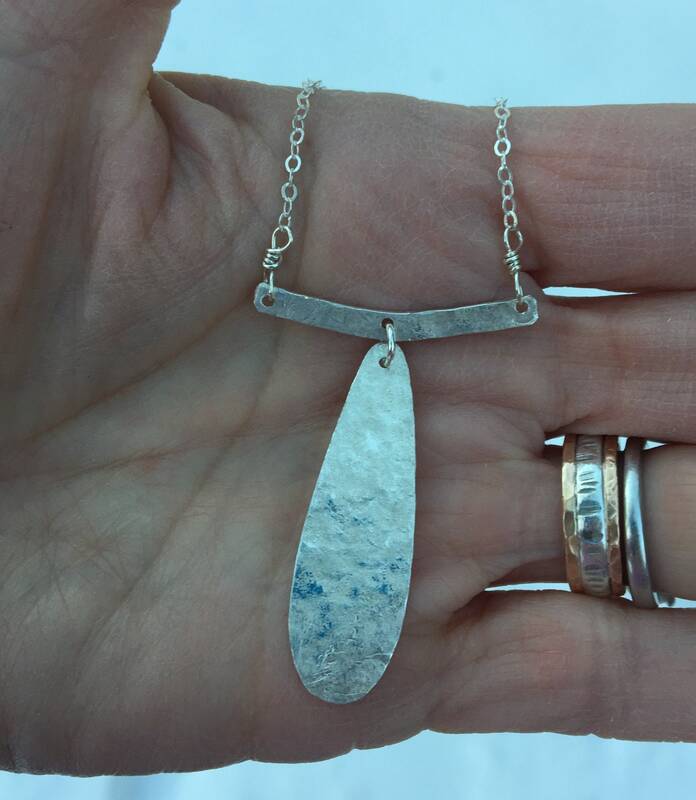 It is secured to a linked styled necklace. 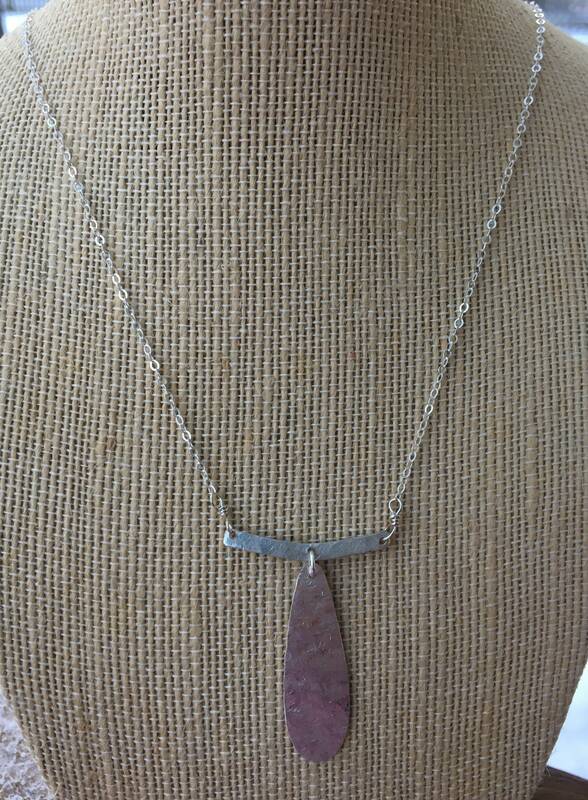 Lobster claw clasp & adjustable chain. 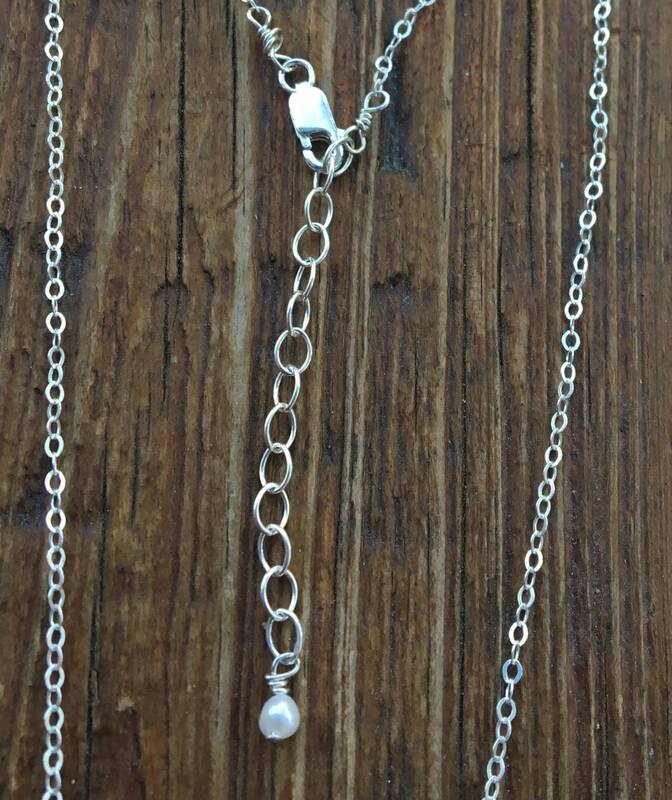 EACH necklace has an additional 2” adjustable chain.